Tony Bennett shows you how it's done on the Apollo's stage tonight. 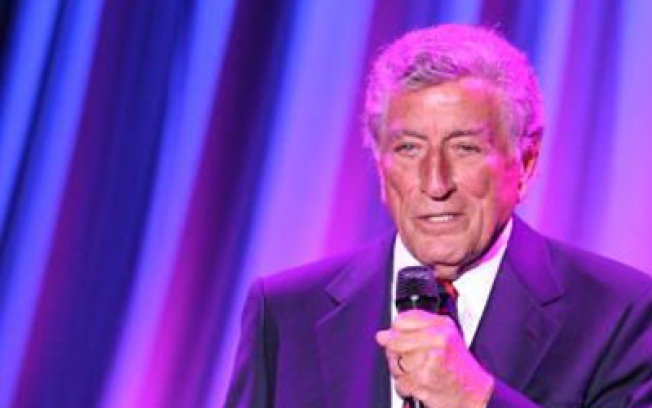 OLD-SCHOOL: Tony Bennett, like good wine, seems to get better with age -- and if you haven't heard him perform live, now's your chance. He'll be singing some classics and roasting some chestnuts off his new holiday joint A Swingin' Christmas at the Apollo, 8PM. NEO-POP: Remember when someone forwarded you that awesome lo-fi recreation of the Footloose soundtrack by some sketchy outfit calling itself Doveman? The creator, Thomas Bartlett, will be at the East Village's Stone tonight, making more musical mischief with co-conspirators Sam Amidon, Dougie Bowne, and Peter Ecklund. 8PM. INDIE GRIT: Those in the know have been waiting for director G.B. Jones to finish her ultra-risqué gay teen-runaway drama The Lollipop Generation for a decade and a half -- she screens it for you tonight at Industry City, and takes your questions afterwards. 8PM.